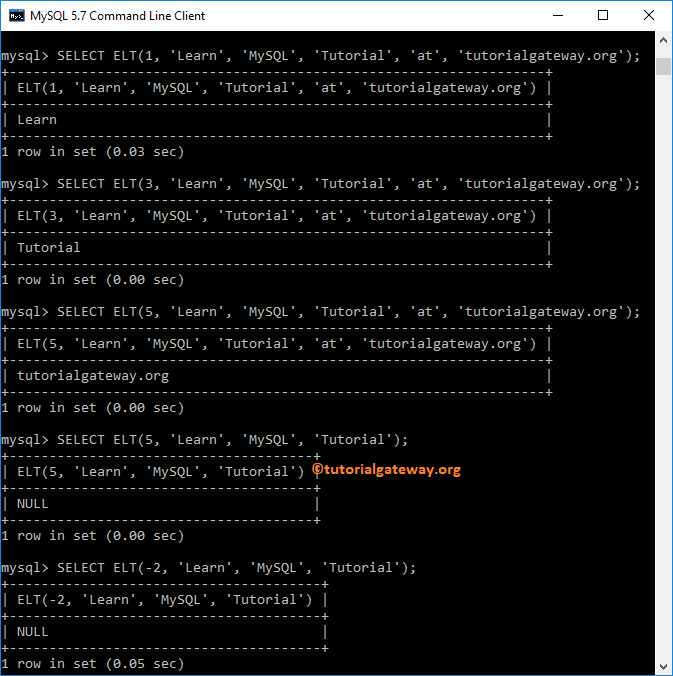 MySQL ELT one of the String Function, which will return the string expression (or string value) at the index position specified in the first argument. 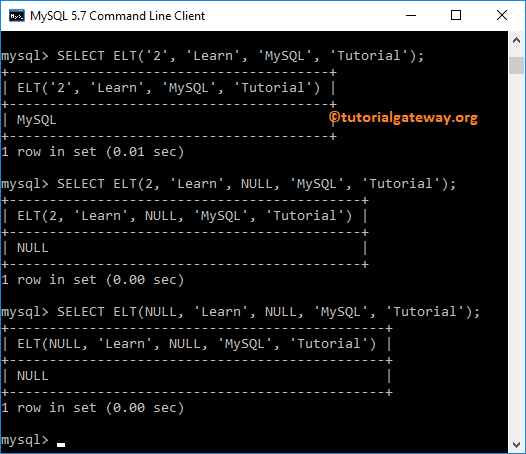 In this article we will show you, How to write String ELT function in MySQL with example. From the above String ELT function in MySQL will return Str1 to StrN based on the index position given at Value argument. For example, ELT(2, ‘Hi’, ‘Hello’) return Hello as the output. The String ELT function in MySQL is used to return the string at specified position. The following query will show you multiple ways to use this ELT function. Let me show you, what will happen, if we specify NULL values as the arguments.